The loss of brain tissue, called brain atrophy, is a normal part of aging, but multiple sclerosis (MS) accelerates the process. Such atrophy is a critical indicator of physical and cognitive decline in MS, yet because measuring brain atrophy is expensive and complicated, it's done primarily in research settings. According to the UB researchers, being able to routinely measure how much brain atrophy has occurred would help physicians better predict how a patient's disease will progress. It could also provide physicians with more information about how well MS treatments are working in individual patients. These and other benefits were outlined in a recent review study the researchers published in Expert Review of Neurotherapeutics. "Measuring brain atrophy on an annual basis will allow clinicians to identify which of their patients is at highest risk for physical and cognitive decline," said Robert Zivadinov, MD, PhD, professor of neurology and director of the Buffalo Neuroimaging Analysis Center in the Jacobs School of Medicine and Biomedical Sciences at UB. Without measuring brain atrophy, clinicians cannot obtain a complete picture of how a patient's disease is progressing, Zivadinov said. "MS patients experience, on average, about three to four times more annual brain volume loss than a healthy person," he said. "But a clinician can't tell a patient, 'You have lost this amount of brain volume since your last visit.'" 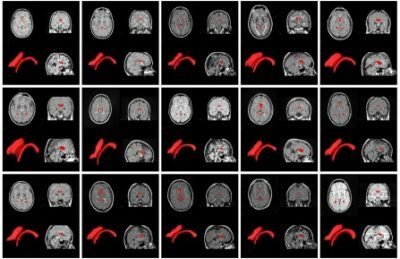 To successfully measure brain atrophy in a way that's meaningful for treatment, Zivadinov explained, what's needed is a normative database through which individual patients can be compared to the population of MS patients. "NeuroSTREAM provides context, because it compares a patient's brain not just to the general population but to other MS patients," said Dwyer.